Our Omaha web design and development team is looking for a motivated and responsible Account Manager who will partner with and ensure the long-term success of our customers. The account manager is responsible for developing long-term relationships with JM’s clients. They will liaise between customers and internal teams to ensure the timely and successful delivery of projects according to customer needs. Resumes should be sent to jobs@jmwebdesigns.com. consider implementing into their website. Why? It’s likely they think there’s a high cost associated with set up, and/or they think it’ll take too many resources to manage. And while this may have been the case many years ago, website live chat is easier than ever to add to your website. Our Omaha web design firm has used LiveChat for years and it’s proven to increase efficiency and assist in making an initial quick connection with sale prospects. The nature of our business requires us to be in front of and away from our computers – so while we’re gone LiveChat delivers a message directly to our email when users leave a message. (You’d be surprised how many users would rather leave a quick message on LiveChat rather than fill out a contact form). JM was recently added to LiveChat’s list of industry experts. LiveChat is customizable, provides reports and analytics, integrates easily with WordPress and is secure. We believe this can help increase our customer’s prospects, revenue and efficiency – as we’ve seen it work for us – and for only $299 we are offering LiveChat integration on your website. All you need to do is signup for LiveChat, provide JM with the login details, and we’ll take care of the rest. Interested in setting up LiveChat on your website? Call 402.292.7500 ext 102. Our Omaha web design and development team builds most websites on a WordPress platform. And while WordPress is widely known for its usability, ease for developers and security – there are security risks associated with websites, no matter the platform. For this reason, JM has recently started offering security packages for our WordPress customers. Our security packages include plugin and WordPress core system upgrades whenever available, additional monitoring for suspicious activity and, should a hacker or virus enter your site, free cleanup from hackers and viruses. But we often hear, “I don’t think I need to be protected from this since we don’t store any sensitive information on our website.” This makes no difference to a hacker. 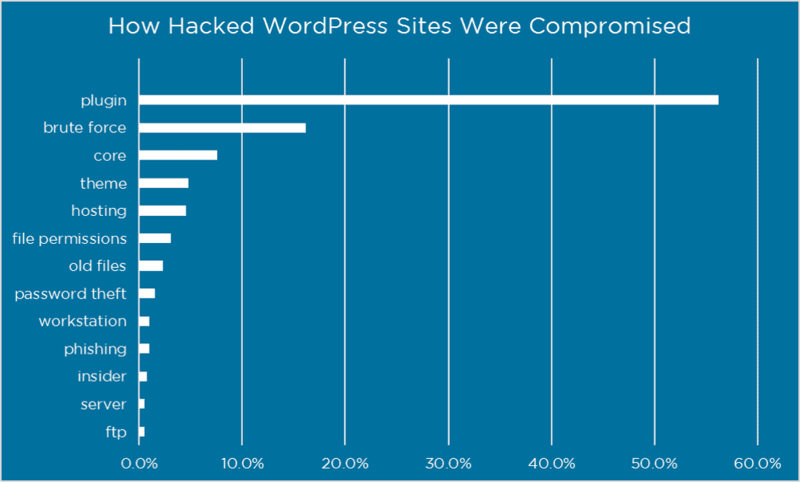 A recent article by Wordfence (a WordPress security plugin which JM uses to help protect our WordPress websites), indicates that in a recent survey over 60% of respondents didn’t know how attackers compromised their website. For those who did figure out how the attackers entered their website, plugins were the biggest vulnerability. As part of our security package we update plugins when available because of the associated security risks. WordPress core and plugin updates are often available because of new security patches that will help protect your website. Our Omaha web hosting team has seen an increase in security threats over just the last several months. JM’s security package will not only prevent against vulnerabilities to your website for a small monthly fee, but will also save you many hundreds of dollars in website recovery if your website is hacked or infected. Call us at 402.292.7500 ext 102 for more information.